It’s vegan, gluten free and sure to bring you warmth during these cold winter months! 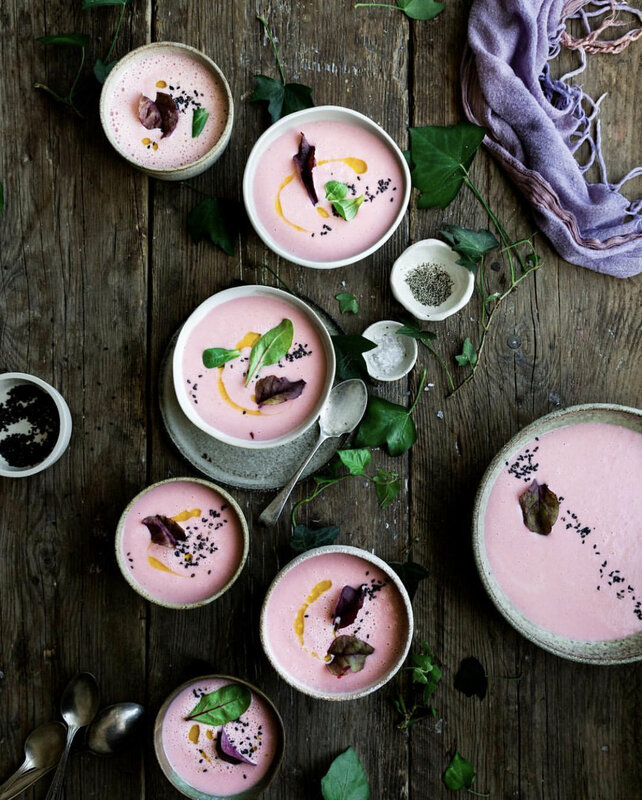 When we saw this gorgeous pink soup on Instagram featuring our favorite veggie, beetroot, we just had to reach out to its creator Kimberly Espinel and ask if we could share it with our followers! She very graciously said yes thanked us for asking. 1. Add water to saucepan and boil potatoes with a pinch of salt until soft. Then drain and set aside. 2. In a frying pan over a medium flame, heat the olive oil and sauté the onions until soft and translucent, for around 10 minutes. 3. Place the boiled potatoes, sautédd onions and all other ingredients in a large pot and bring to the boil. 4. Once boiling, reduce the heat and let it simmer for about 10 minutes. 5. Place everything in a (high speed) blender and blend until smooth. 6. Serve immediately and garnish with a drizzle of olive oil, sesame seeds, coarsely ground black pepper and fresh beetroot leaves. Keeps in the fridge in an airtight container for about 48 hours. This luscious no-bake and nearly raw cheesecake is not only beautiful on the outside it’s full of healthy swaps, superfoods and a totally unique flavor that sets it apart from the rest of the cheesecake pack! This beautiful and nourishing dessert uses our Garden Granola in the crust and fresh ginger in the filling that lends the perfect spicy twist. You will be sure to crave this creamy indulgent treat and it’s beautiful color and uniquely delicious taste make it perfect for Valentines Day and any festive occasion! And if you aren’t sold yet, it’s freezer friendly, vegan, gluten-free and refined sugar free! We didn’t know Chef Ashley before Cheesecake, Garden Granola and Instagram brought us together! We are so grateful that our food and social media stars aligned and can’t wait to collaborate with her and bring you more yummy treats in the near future. 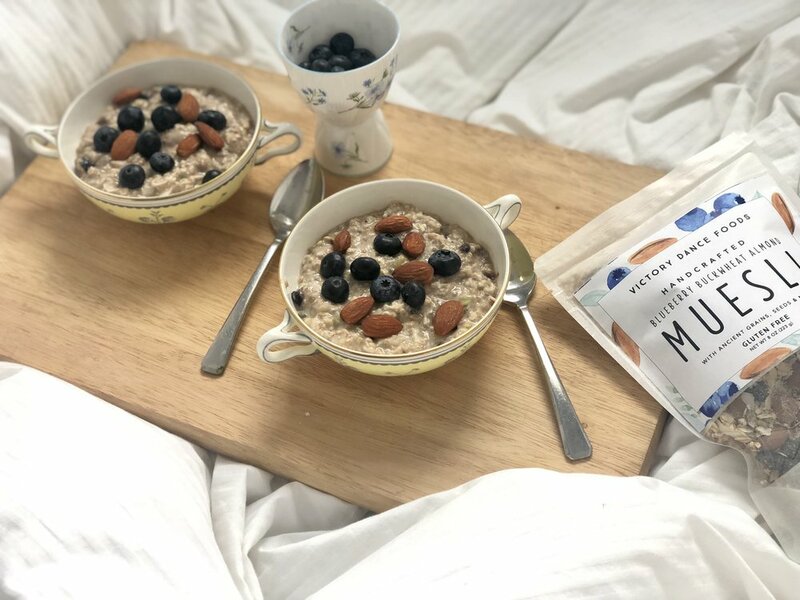 To learn more about Ashley and her passion for helping people learn how to cook healthy nourishing food that actually tastes good and more delicious recipes, visit her website at The Naked Food Life and follow her on insta @thenakedfoodlife ! If you make this dessert and are going to share your creation on social media. so we can see your beautiful creation! Make up a whole bag and it’s ready to eat all week! We love making this on Sundays for the week ahead. In a large bowl combine oats, milk, yogurt, shredded apple, mashed banana and lemon juice. Stir, cover and let sit overnight in the refrigerator. In the morning add honey (to taste), and cinnamon, if desired, and mix well. Keep covered and refrigerated for up to 7 days! 💡For breakfast on the go, after mixing it up add it to mason jars or individual containers to grab and go!